Arcanists- Those who have been able to hone their powers and become truly magical. Guild- Exist to protect the citizens of Malifaux and produce as many soulstones as possible. Ten Thunders- A quiet group of mafia like family members from the east. 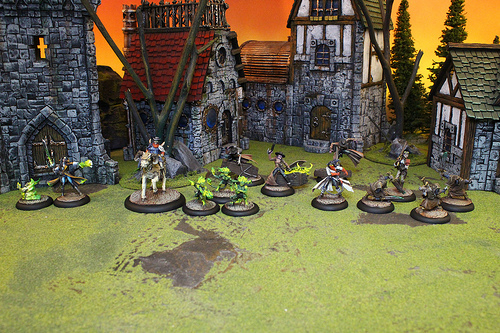 Outcasts- Those who are not directly linked to any faction in Malifaux and vie for themselves. Their are hundreds of miniatures in each faction. Who will you lead in your next epic battle of Malifaux.